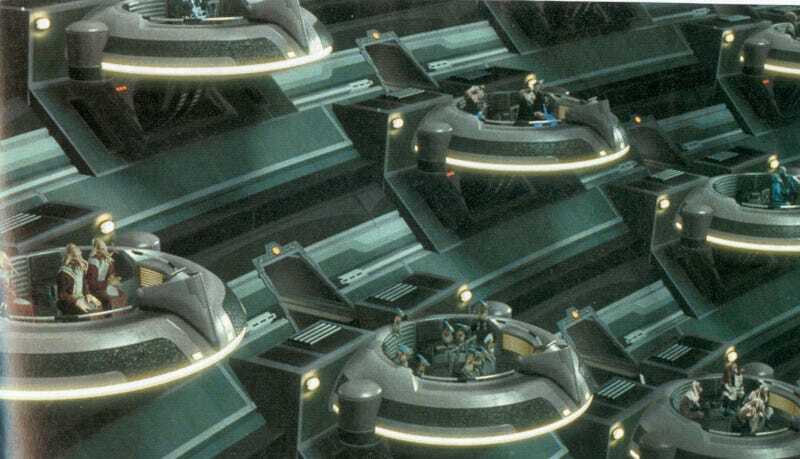 Senators in the Galactic Senate have indicated that they intend on voting on a measure today which would end the Galactic Republic's two week shutdown and extend the debt limit of the Republic. If the measure passes the Senate, it will pass to the Galactic House for a vote. If the measure passes the House, then the Galactic Republic will be able to avoid defaulting and it will be able to reopen Galactic Monuments and Parks. Chancellor Fomalhaut has indicated that any attempts by the Galactic House to vote down this measure will be met with "the firepower of this fully armed and operational battle station." Apparently, such a measure might be too late for scientists on Hoth, who, without funding, have been ordered to leave. Update 1, 0156 coordinated universal time: Two hours ago, senators in the Galactic Senate passed a measure ending the Republic's shutdown and extending the debt limit. 18 Senators did not vote for the measure. Update 2, 0238 coordinated universal time: the Galactic House pass the measure passed by the Galactic Senate. 144 Sith vote against the measure.